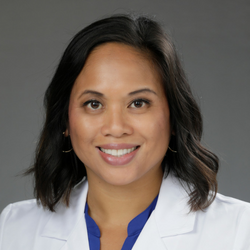 Tricia Sol graduated from Loma Linda University in Southern California with a Master of Physician Assistant Studies in 2005. Prior to graduate school she earned degrees in Occupational Therapy and Public Health, also from Loma Linda University. As a nationally certified Physician Assistant, Tricia has diverse clinical experience in emergency medicine, urgent care, pain management and occupational medicine. She spent several years working in allergy, asthma, immunology and otolaryngology in California and Texas. She enjoys helping her patients take control of their allergy symptoms to improve their quality of life by providing quality treatment and education.